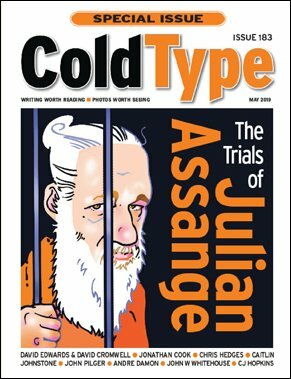 WikiLeaks Art Force – Artists supporting WikiLeaks. WikiLeaks t-shirt design contest starts soon. Artists supporting WikiLeaks. WikiLeaks t-shirt design contest starts soon. Welcome to the WikiLeaks Art Force. Encouraging and amplifying #WikiLeaksA#WikiLeaksArt#Art — art that promotes and is inspired by WikiLeaks. Connecting artists with others who support WikiLeaks. What is the WikiLeaks Art Force? We’re artists who support WikiLeaks as it exposes information suppressed by those wielding political and economic power in our societies. 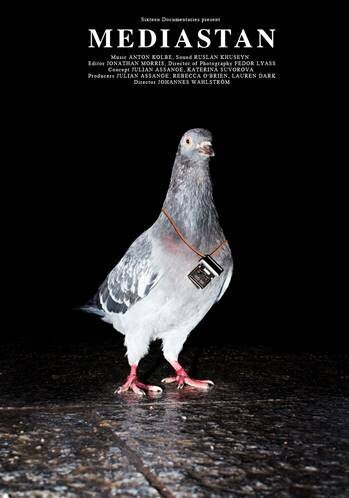 WikiLeaks Art Force encourages and amplifies art that promotes and is inspired by WikiLeaks and its philosophy of transparency and accountability—across all artistic media. We see the disturbing ramifications not just of censorship, but also of self-censorship—which is all the more pervasive. When information is withheld from the public by those with power, the latter cannot be held to account. And just as self-censoring art imprisons creativity, a self-censoring media imprisons information. In the world of advertising, the two combine—manipulating desire for profit. In the world of news media, false narratives are created and overwhelmingly adhered to—manipulating knowledge to maintain structures of power. And the information and creativity that is being imprisoned is that which we all need to make properly informed decisions about how we organise our societies—how we live our lives. 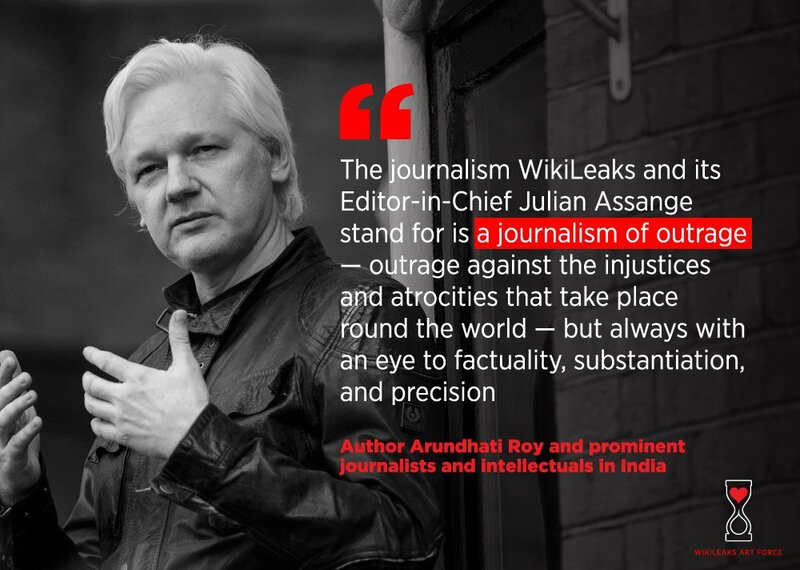 We wield the power of creativity to support and amplify WikiLeaks—uncorrupted and independent media, dedicated to publishing that liberated information and protecting its sources. 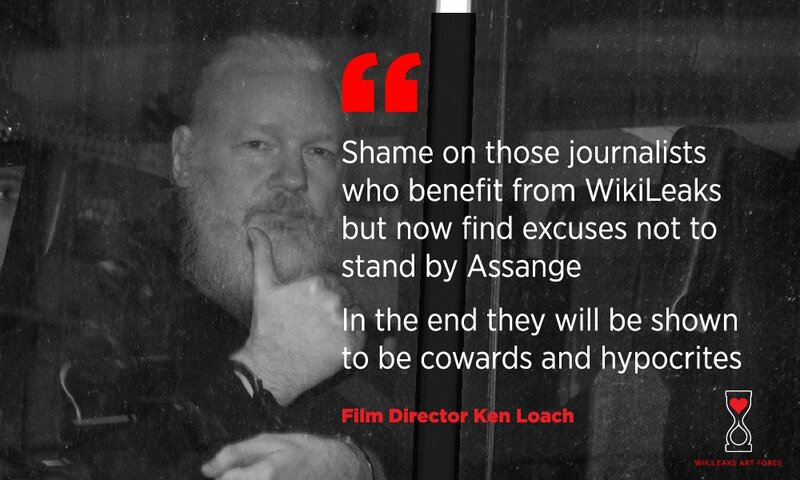 Naturally, the WikiLeaks Art Force also supports and promotes those who are persecuted as alleged sources of information published by WikiLeaks. Anyone creating WikiLeaks art in any artistic medium can participate. Whether you’re creating memes, gifs, video, animation, infographics, websites, games, street art, painting, drawing, photography, prose, poetry, mixed media, art happenings, design, theatre, comedy, music, dance, sculpture, robotics, code… if your art promotes and is inspired by WikiLeaks—the organisation, its staff, its overall philosophy and issues related to various leaks—and/or alleged WikiLeaks’ sources, the WikiLeaks Art Force has space for you and will help you connect with others. Please note that content will be curated. Our first big event will be a tshirt design contest with a cash prize, to be judged by prominent artists. We’re starting on twitter, amplifying old and new #WikiLeaksArt, and we’re building a website. Artist profiles and highlighted artists, projects and works. A platform for artisitic collaboration: amongst artists, between artists and journalists, and between artists and activists. Fundraising for WikiLeaks operations via sales of original artworks and collaboration with the WikiLeaks Shop. Promotion and amplification of events and exhibitions on and offline. And we’d like to hear ideas from you. You can tweet them to us. For human beings – as both individuals and as societies – art has always played a central role in communicating information critical to the development of those individuals and societies. Art in its myriad forms conveys ideas and information, it questions and examines. It inspires imagination and critical thought. It occupies a space both within and beyond politics. And art has the potential to express all these things in unique and unexpected ways, having a potentially powerful impact on our psyche. And even where words are silenced, creativity can transcend censorship. Is there already WikiLeaks Art? Checkout @WLArtForce on Twitter. We’ll be highlighting both old and new projects, articles of interest, memes and more. As well as the overt connection to Milton Glaser’s iconic ‘I<3NY' design, the WikiLeaks heart was created around the notion of journalism with a heart, acting with courage and compassion. And, of course, getting to the heart of historically and politically significant events that affect us all. Much loved Australian music legend Ross Wilson joins #Musicians4Assange! Im with you Ross! @RossWilsonmusic! And many thanks for publicly standing up for my son. Look at this tall, healthy, smiling man at a birthday party Ecuadorian Embassy staff put on for him in happier years. 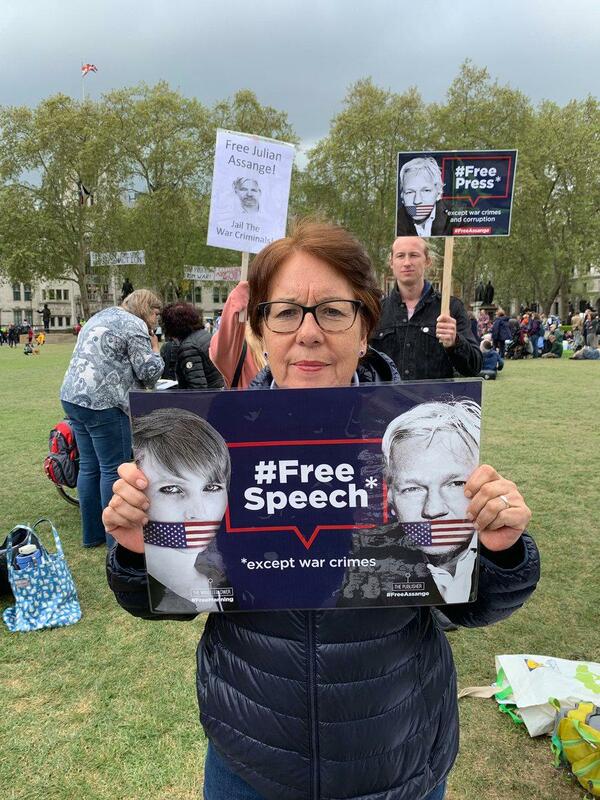 Now think of the Julian you saw dragged out of the embassy 11 Apr 2019. Tells you what the US (& it's lackies) do to those they hate. THE TRUE STATUE OF #LIBERTY @wikileaks @DefendAssange @Snowden @xychelsea #freespeech #freedomofexpression #freedomofinformation #resist #courage #truth #anythingtosay? WikiLeaks Art Force is an official WikiLeaks project.